With less than a month to go before its national elections, Nigeria is awash with serious problems which are not likely to go away soon. 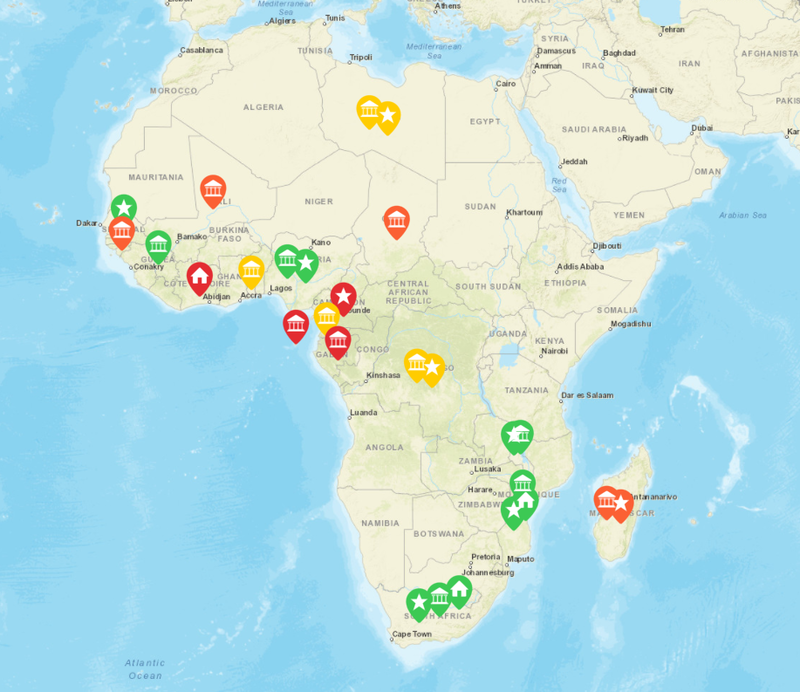 Africa’s largest and most important country is going through an extraordinarily difficult and dangerous period that could over the next two months see the already high level of violence spike even further and spread to other parts of the country. Nigeria is facing three major challenges: cascading insecurity in the northeast; contentious national elections in mid- February; and growing economic pressures due to the precipitous drop in global oil prices. These issues are generating renewed uncertainty about the country’s long term stability. Given Nigeria’s regional political and economic importance, the international community needs to a raise Nigeria on the global priority list and actively engage and assist the country in trying to navigate the turbulent period that lies ahead. Boko Haram, the Islamic religious sect that has terrorized northern Nigeria for the past five years, has recently stepped up its operations in the north eastern part of the country. In 2014, Boko Haram killed over 11,000 people, carried out a high profile kidnapping 276 school girls, assassinated dozens of government officials and attacked numerous military bases. Several recent attacks demonstrate Boko Haram’s strength, capacity and changing tactics. On December 29, Boko Haram captured a Nigerian military base in the far northeastern corner of the country, killing dozens of soldiers and civilians and capturing more arms and munitions. The base was intended to garrison a multinational force with troops from Niger, Cameroon and Chad. On January 3, 2015, militants stormed the town of Baga, destroying homes, shops and leaving over 500 people dead. During this same period the group carried out several high profile suicide bombings, deploying for the first time young girls to carry out the attacks. Boko Haram is not going away any time soon. Taking a tactic out of the playbook of Iraq’s Islamic State (ISIS), Boko Haram has set up a caliphate in Borno state, where it controls an estimated forty percent of the territory. The government’s efforts to turn back the onslaught have proven ineffective, and the level of violence has risen and spread further across the north every year since Mohammed Yusuf, Boko Haram’s founder, was killed in 2009. Nigeria’s once strong military has sustained repeated defeats at the hands of Boko Haram and is suffering from low morale, a shortage of arms and poor senior leadership. The current situation is unlikely to change and the level of violence will almost certainly intensify as Nigeria’s elections draw closer. Nigeria is scheduled to hold presidential and legislative elections on February 14, 2015. The country’s presidential contest, between President Goodluck Jonathan and opposition leader Muhammadu Buhari, will increase political tensions across Nigeria and contribute to further unrest in the northeast. Although President Jonathan appeared to have a strong edge at the start of the campaign, the elections is now expected to be very close and hotly contested. President Jonathan, a southerner and devout Christian, believes he can win re-election and appears determined to do so. The President has the power of incumbency on his side as well as substantial financial resources. His party, the People’s Democratic Party, has the advantage of having the only national political party organization in the country. President Jonathan also stands to benefit from the unrest in the north. His critics say the conflict in the northeast will reduce voter turnout for his opponent — Muhammadu Buhari, a northern Muslim politician. There are also concerns that Jonathan will use the country’s security forces to help turn the election in his favor. In late November, Nigerian security forces illegally prevented members of the national assembly from entering their chambers. Buhari, who is running for the fourth time, believes he has finally positioned himself to win. Unlike recent previous presidential contests, there are only two candidates on the ballot, and a once divided and fractious opposition has closed ranks behind Buhari. Many of the leading northern politicians are supporting him, including his two most prominent political rivals — Kanu Governor Rabiu Kwankwaso and former vice president Atiku Abubakar. To the surprise of many, Buhari has also gained some traction in the southern part of the country, where he has long been viewed with great suspicion. His selection of Yemi Osibajo, a widely respected lawyer from Lagos, as his vice presidential running mate appears to have gone over well. In addition to his legal credentials, Osibajo is a senior pastor at a large evangelical Christian church and a member of a prominent Yoruba royal family. Osibajo’s presence on the ticket is likely to divide Nigeria’s large evangelical community which has traditionally voted for Jonathan. Buhari has also allied himself to some of Jonathan’s strongest political critics in the southeastern part of the country where the president has traditionally drawn his greatest support. The popular governor of Rivers State, Rotimi Amaechi, has come out strongly for Buhari saying that Nigeria needs change in Abuja, that the violence and instability in the north threatens all of the country, and that Buhari is the only person who can put an end to the Boko Haram crisis. As February 14 approaches, the prospects of a very close contest are increasing– and so are the prospects for post-election violence. If President Jonathan should win narrowly, with less than the number of displaced eligible voters in the north who are unable to cast their ballots, widespread and sustained violence is almost certain to erupt. Credible reports of vote rigging and blatant interference in the electoral process by security forces will also spark northern violence. Although some observers predict violence in the southeast if Jonathan loses, no one expects those protests to generate the type of reaction expected in the north. Nigeria’s oil-dependent economy is going through a turbulent period. The sharp drop in global oil prices has had a negative impact on the country’s entire economy and clouded the outlook for 2015. For most of the past decade, Nigeria’s economy has been growing at seven percent a year, but that has come to an end. Declining oil revenues have put additional stress on President Jonathan’s government as he prepares for elections and deploys additional resources to battle Boko Haram in the north. Oil production accounts for thirty five percent of GDP, eighty percent of government revenue and ninety percent of the country’s foreign exchange. The value of the naira has fallen by seventeen percent, forcing the government to devalue the currency. Nigeria’s benchmark interest rate has also gone up to thirteen percent and the country’s once booming stock market has lost thirty percent of its share value. The government has reduced its spending and placed new foreign currency restrictions on companies. With Nigeria importing over eighty percent of what it consumes, including large quantities of wheat and rice, inflation and the cost of living are rising. Although weighed down by multiple challenges, Nigeria is Africa’s preeminent country and largest democracy. With a population of 177 million people, it is Africa’s most populous state, the seventh largest in the world, and the world’s fifth largest Muslim country. Nigeria is also Africa’s leading economy with a GDP substantially greater than that of either of its two closest rivals — South Africa and Egypt. Nigeria is a player in the global petroleum market. In addition to being Africa’s biggest oil producer, it is the sixth largest oil exporter in the world. In West Africa, Nigeria is the top economic and commercial power, dominating the banking, insurance, telecommunications, transportation and small scale manufacturing sectors. And even though its troops have performed poorly at home, Nigeria is one of the UN’s top ten Peacekeeping contributor nations. What happens in Nigeria directly impacts not only the people of that country but the entire West African sub region and the larger international community. If Nigeria faces a crisis like the one that followed Kenya’s disastrous 2007 presidential elections or is overwhelmed by further Boko Haram advances, there is no international power capable of responding quickly or effectively. Given the likelihood of a close and highly-contested election followed by significant violence throughout the north if Buhari loses, the United States, Great Britain and the European Union need to be more openly and actively engaged in working with Nigeria to navigate the difficult period it is going through. The first order of business is to help ensure that there is a free, fair and peaceful election. A flawed election that ends in violence will exacerbate the security problems in the northeast and further undermine the country’s tightening economy. Assurance from President Jonathan that presidential elections will be held throughout the entire country, including in the northeast. (The U.S. and UK know that if elections can be held in Iraq and Afghanistan, they can be held throughout northern Nigeria). The Administration should call on both candidates to personally pledge that they (and their political parties) will engage in a non-violent process, that they will adhere to election guidelines and that any electoral disputes will be adjudicated in the courts and not on the streets. Recognizing the role that local political leaders play in the process, the Administration should send a strong and clear signal to State governors saying they have a responsibility to ensure the electoral process goes well in their respective states, and they need to cooperate with INEC to make that happen. The Administration also needs to tell Abuja and the Nigerian people that the international community is watching the election process closely, that flawed and or violent elections will set back Nigeria’s economy and undermine its image. The Administration should also that Washington will condemn anyone seen to be undermining the electoral process, provoking violence or engaging in vote rigging. Presidential phone calls to African leaders are not common place at the White House, but this is probably a time for Mr. Obama to reach out directly to President Jonathan and Mr. Buhari before any potential crisis occurs. Prime Minister Cameron and the President of the EU would be wise to do so as well. The Nigerian elections are going to be close and potentially violent and destabilizing – much like the flawed Kenyan elections of December 2007. Working to ensure a good election before “Things Fall Apart” will be better for Nigeria, all its neighbors and its friends in the international community. Once this election is over, the U.S. and Nigeria need to deal with the second order of business: how to develop a realistic and workable strategy to degrade the continuing onslaught of Boko Haram. 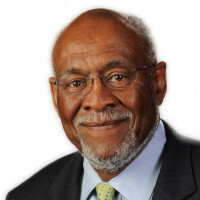 Ambassador Johnnie Carson is Senior Advisor, United States Institute of Peace & Senior Fellow, Jackson Institute, Yale University. Respectfully, it’s a very well-written article and you know nothing of Nigeria. You are viewing Nigeria from a western perspective, not a West African perspective. Nigeria is a democracy in name only, with the presidency trading off between the major parties, each taking their turn. Boko Haram only became excited after Yaradua did not complete his full term and Muslims expected another Muslim to finish it, so they would have their full “turn” in power. Elect another Muslim minimize Boko Haram. The govt knows exactly where they are and do not care, because it would take money they don’t want to spend to root them out, thus taking from their potential “personal” gains. Nigeria’s problems are only made worse by intervention and if they rest of the world pulled out, they would be resolved within a few years. Please talk to some non-political Nigerians before you write your next article, because you won’t get the truth from the PDP or ACC… good luck. Your assessment is spot-on. The probability of post-election violence in the forth coming Nigerian election is high and should not be ignored by the world community – especially, Britain and the USA. Yes, I agree with you 100% that the building tension and looming mass destruction of lives and properties should be diffused before it happens. Based on your article, US and Britain or a global joint task force legitimized by the UNO and OAU should conduct a risk assessment of the situation and put in place mitigating steps or measures to eliminate or reduce the identified risks or risk factors. It is unfortunate that Nigeria is finding itself in a condition of insecurity and economic instability because of elections. I believe Nigeria should have risen past this stage. When the price of oil was favorable, corruption pervaded in government circles. The government did not tackle Boko Haram at the early stage; instead the government of Nigeria was in complete denial of its activities and even its existence. This gave the Islamic terror group enough time to wax bold and strong beyond control. All that is happening now must be blamed on the government of President Jonathan. Thank you very much for exposing some of the ills brewing in Nigeria . Many of of us Nigeria are still playing ostrich, as if everything is normal and once again thank you for enlightening me. A fair assessment of the situation in Nigeria. Ambassador Carson, thanks a lot for this wonderfully written and in depth analysis of the current situation in Nigeria. I hope that the international community really understand the significance of this country and put measures in place to ensure peaceful election. Editor in Chief. Conect Magazine. I think all the Nigerian citizens and members of the international community that cherishes peace and prosperity in the country must also be interested in the long term solutions as well. Not only about the immediate crisis. Nigeria from the begining of her birth has had numerous internal ethnic,religous, expecially the north and south divide that has plagued it politics. Can any sensible person ignore these factors and at the same time claim to interested in the progress of the nation? I very much doubt it. Internal changes are needed in the country for any long lasting , reasonable political rejuvination. Nigeria has never progressed significantly in the politically sense beyond where she was at independence due to these built in flaws. It is well known thta oil and water don’t mixed well, but for some strange reasons , they are expected to mix well in Nigeria. This is political fallacy. If this arrangement can’t work anywhere, it can’t in Nigeria. No country on this planet with the level of diversity Nigeria has, has ever ever succeded . If you know one , tell me. Nigeria is a state design to fail. It inherent flaws will forever prevent it from ever achieving political cohesiveness that is vital to succes. Nigeria reminds me of a fool that was more scared of the sharp pain of removing a nail that pierced his foot, than the long term pain and inconvenience of a piece of matal in his foot. Instead, he searched for all kinds of pain killers in the markets to relieve the pain in his foot. Getting all kinds of treaments, but never daring to remove the nail from his foot. Well we know what the result of such folly will bring. A terrifying outcome , a foot with festering sore that might have to be removed. As a Nigreian, I believed that the longer its takes us to take the bull by the horn, the worse the future conflagration is certainly to become. Boka Haram is going to be nothing, in fact, the best by comparison. Boko-haram is only the begining. No election is going to solve our problems. Just look at the Middle east, was there no election in Iraq? Did solve the problem, NO. So long as the underlying factors are unresolved , no election or elections can bring about trust in a sectarain society, it is pure and simple wishful thinking,utopian and reckless. Wake Nigerians it wont solve anything. The religious divide and distrust between Nigerians will always place a fundamental role in our contemprary politics. If Shia,ats dont trust sunnis and vice visa, why should Christians trust Muslims or vice visa? It is plain to see how the internal politics stinks. Bohari picking of Yemi Osibanjo is just playing the usual Nigerian politics, it is well known vice presidents don’t have political clout at all. But in the nigerian politics ruse can be employed to gain political advantage. The same goes for the President. It all a sham. Any idea that pressure can be put on the main players to play by the books is missing the point. Remove the NAIL FIRST before anything. Great article that addresses the root problem of Nigeria. As concerning the result of the election, if the election is free and fair, the result is sure who will be elected. Nigerians are wiser now. International Monitoring Group should help monitor and make sure that the election is not rigged. I enjoyed Amb. Carson’s objective and factual analysis of the internal and external dynamics of Nigeria’s socio-political and economic indices in the run up to the 2015 general elections. What a beautiful write up. Thank you sir for a job well done! I sincerely pray that Washington, London, and Brussels will heed to your wise counsel. A stitch in time saves nine. Nice summary, but I toe the line of Eric Benson. We need to re-structure the political arrangement in this country Nigeria. The center, the federal government is too powerful for such a diverse society. Power needs to be devolved to the regions (along geographic or tribal/common ancestry lines, not the political structures of states) to minimize the mutual distrust. Nigeria needs to be a confederation. Failing to do this will at best result in a series of governments and politicians simply preparing for the next elections, and control of the center, as have been happening for the past number of years now. A worse outcome may be total collapse of the government similar to Iraq and Cote d’Ivoire in the recent past. The level of tension and distrust is unprecedented. There is no strong authority at any level, its essentially a number of different nations in the country. The National Conference of 2014 was welcomed in some sections as an opportunity to settle the differences and agree on a way forward, but sadly it too was overtaken by political and economic interests of a few selfish individuals who profit from the anarchy and instability. Whatever support the international community can honestly offer to Nigeria has to be in the form of pressuring for a referendum and honest discourse between the member-nations of the country, and following up to complete implementation of the agreements. That is the only option for peace. Nigerians can live together, but only if there is assurance that regional interests (religious, economic, political, etc) will not be sabotaged by others. This has been the undercurrent of political activities in the country since the 1960s. The Gross Lack of Government Assistance and Intervention and The Abduction of Innocent young students and Boko Haram and the Cult of Gangsterism must stop even if this entails removing Goodluck Jonathan from office in the National Elections next month. The â€˜Congregation of the People of Tradition for Proselytism and Jihadâ€™â€”better known by its Hausa name â€˜Boko Haramâ€™ meaning â€˜Western education is sinfulâ€™â€”is an Islamic jihadist and takfiri militant and terrorist organization governed by the gangsterism ethos without any credence to the serene intellectualism of the Islam Religion advanced by the Prophet Muhammad. Founded by Mohammed Yusuf in 2002, the Boko Haram organisation seeks to establish a â€œpureâ€ Islamic state ruled by sharia law, putting a stop to what it deems â€˜westernization sustained by crass colonialismâ€™. The government of Nigeria has a fundamental obligation to eradicate this element of gangsterism shrouded within the veil of Islam using every and all national resources. Anything less must be considered as tacit compliance in accepting this pernicious cult of gangsterism who regard themselves as â€˜lawâ€™.